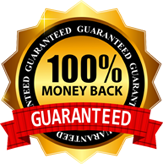 You’ll be able to review your order before purchasing and your $27 is backed by our 100% money-back guarantee for an entire year. Thank you for using our free online swing intelligence tool. After going through our tool, I showed you a short video about how Matt helped me improve my swing — even after a 195lb steel bar broke my arm in 3 places. I also introduced you to Matt Walter’s Ball Striking Improvement Series, a 5-module online golf training program with over 32 tutorial videos. Since you might’ve missed your chance to hear about Matt’s program, I made this page to share how you can try Matt Walter’s Ball Striking Improvement Series without any risk. Matt Walter’s Ball Striking Improvement Series is an online golf training program hosted privately on our Performance Golf Zone website. After purchasing the program, we’ll send you a personal username and password to access the private online area using any device with internet access. The online training works kinda like Netflix. Whether you want to watch the videos at home on your desktop computer, or even out on the golf course from your phone, all 32 step-by-step tutorial videos in the program are readily available at your convenience. Each video was shot in the highest quality. You’ll get to watch the specific details of Matt’s golf swing instructions with crystal-clear HD clarity, so it’s easy for you to understand and fix whatever golf issue you’re struggling with. Module 1 is like a playbook of posture and grip secrets for infusing your swing with lag. Many people don’t realize how just a few simple posture and grip tweaks have the potential to unleash a huge source of hidden power! Module 2 is all about mastering your backswing. What’s unique about this module is the 5 workstations Matt sets up and demonstrates for developing a tour-like grooved backswing. As I’m sure you know, golf is a counterintuitive game. A lot of what you’ve been told about creating lag makes sense in theory, but doesn’t get you results on the green. This module is all about “mind tricks” and somewhat-strange adjustments to your swing that create lag so explosive, your buddies will be shaking their heads at your newfound power! Hooking or slicing problems? We got both covered. While the problems are similar, the solutions differ. Whatever your problem is, don’t worry. Matt’s many years of experience helping golfers with hundreds of different hooking and slicing issues will help you, too. How to know if you’ll slice — BEFORE you swing! Finally, what every golfer wants: adding more distance to every swing! In this module, Matt’s no-fluff training gets right to it. If you want to gain more distance to your swing, this training will help you. Now that you know more about the modules, you might be ready to make your decision about purchasing. 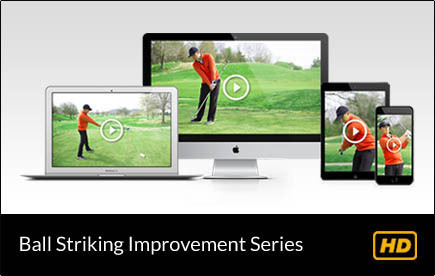 If you want access now for $27, click the button below to purchase Matt Walter’s Ball Striking Improvement Series! You’ll be able to review your order before purchasing and your $27 is backed by a 100% money-back guarantee for an entire year. YES! If at any time during the next YEAR you feel like Matt Walter’s Ball Striking Improvement Series is NOT helping you, let us know by emailing [email protected] and you’ll get your $27 back. Bonus #1: A how-to training video series on creating a better connection upon contact, so you hit your irons with compression. Bonus #2: Over-the-shoulder training of Matt instructing one of the 15 random golfers we invited to get his help. In this video, you can watch how Matt assists a struggling golfer with fixing his stubborn slicing issue in just 7 minutes! Bonus #3: A 14-day trial to our “Quick Fix Vault” library with videos from Matt on fixing more than 100 specific golf issues. Dozens of videos are added every month and you’ll get to test drive this area for 14 days for free! Absolutely and here’s why: We use an SSL encrypted checkout process that does NOT store any private information. In addition, because you’re purchasing using a credit card, you have the security of handling a transaction through a major company. We have a reputation to keep. We’re in the business of helping golfers and we plan to stay in business for a very long time. Doing anything unethical would damage our credibility and hurt us in the long run. The answer is that it would be a disservice to us both to offer this free. If we made it free, golfers would be less likely to actually go through the videos. By charging $27, we know golfers are way more likely to go through the videos and get the help they’ve been looking for. It’s a win-win scenario this way. $27 isn’t much if you think about it. Since we offer a 1-year guarantee, Matt Walter’s Ball Striking Improvement Course comes out to about 7 cents a day. Many golfers are willing to pay hundreds to thousands of dollars in one day to improve their golf game. With Matt Walter’s Ball Striking Improvement Course, you can get the next best thing to personal, 1-on-1, coaching for just $27. We hope this page helped you out, but if you have more questions about Matt Walter’s Ball Striking Improvement Course, shoot me an email at support@performancegolfzone.com. Otherwise, click the button below to complete the checkout process, so you can start your training with Matt Walter!